For armed forces personnel, there is legal protection from their credit worries. This is due to the fact that service personnel in discharge of their duties, face a number of financial challenges arising from frequent relocation, disability, deployment, and PTSD. Surprisingly, despite such protection, a considerable number of military personnel suffer from severe financial hardships. Their hardships are enhanced because of the provisions of Article 134 of the Uniform Code of Military Justice, which says that any military personnel who doesn’t pay his bills “brings discredit to the US armed forces” and he is at a risk of losing his security clearance, promotions, and could even face a court martial for it. How can you get rid of military debt problems? According to the provisions of The Service Members Civil Relief Act, a military personnel may start by examining the rate of interest he is paying on his current bills, particularly credit card bills and compare it with the interest rates being charged for a personal loan. Since a personal loan usually has a lower rate of interest, flipping the switch for it makes sense since they stand to save money right away, if they have the required collateral to back the loan. These loans can be taken from credit unions, banks and online lending platforms for consolidating multiple pending bills and paying them off in one go. That would leave the debtor with a single monthly payment that ought to be generally less than what he was paying for all bills that he consolidated. Recognizing the financial hardships defense personnel face, most banks and other financial institutions offer much lower interest rates of even 5.99%, based on the applicant’s credit score. Moreover, The Military Lending Act of 2007 has capped the personal loans interest rate at 36%. This is also applicable for the benefit of retired defense personnel. As a defense personnel, if you wish to avoid a personal loan, you are also at liberty to utilize the help of a non-profit credit counseling agency where a counselor could help you set up a monthly budget followed by debt-relief option recommendations. 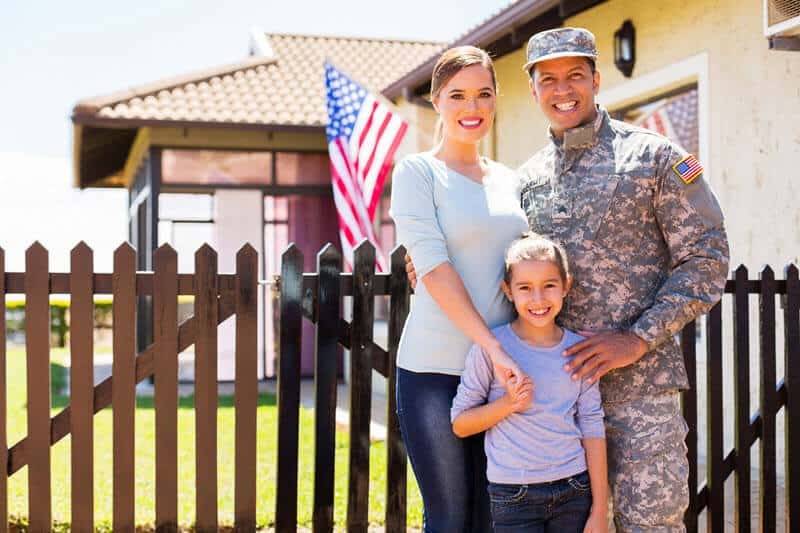 Debt relief to military personnel, no matter wherever they may be on the surface of the earth, is available by way of personal loans, programs for debt management and in the most acute cases, bankruptcy. However, it also needs to be borne in mind that unlike civilians, financial strains faced by military personnel are of an entirely different nature as they are duty and law bound to clear their debts or else face severe penalty – loss of security clearance, delayed or stopped promotions and even court-martial. Despite such measures however, nearly 36% of US military personnel have financial worries, as has been revealed by a study conducted by the FINRA or Financial Industry Regulatory Authority. The route to get out of a financial mess therefore, is to make a single monthly payment through a personal or debt consolidation loan that carries a lower interest rate. This is definitely more advisable than opting for an auto-title or payday loan carrying a mindboggling interest of 400% and which could go up to an impossible 1,000% also! That’s why it always pays to study the provisions of The Service Members Civil Relief Act before going after a loan. When trying to identify the appropriate plan for debt reduction, one should start by carefully examining the interest rate they are paying on their current bills, particularly debt arising from credit cards while also comparing interest rates charged for personal loans. The latter is most likely to have a lower interest rate and will inevitably help the debtor save substantial amounts of money, especially if there’s collateral to back the loan up. You are at liberty to approach any bank, credit union, or online lending platform that give out a personal loan to help you consolidate multiple bills and gradually repay them, within a stipulated period of time. You end up making a single monthly payment that will be less than what you are paying for all bills consolidated by you. This will certainly eliminate the chaos that’s currently prevailing in your life. It’s also often seen that many folks in the military or even veterans feel that they won’t qualify for personal loans because of their bad credit scores. This is certainly not true because a number of banks, credit unions as also other financial institutions are aware of the financial woes of service members and try to help them out. Online options too are readily available for retired or active service members at very competitive interest rates because such platforms also are trying to garner more customers while competing against credit unions and banks. Relief is also available through a credit counseling agency that offers you a DMP or debt management plan. The Debt Management Program helps eliminate debt, increases the debtor’s credit score and relieves their stress from personal financial problems. The counselor negotiates with all the concerned lenders to reduce interest rates being currently paid. There is also a waiver of late payment fees which coincides with the amount of the monthly installment so that the entire debt is paid off within three to five years. Your debts consolidate because you come under a single payment method wherein you pay the agency each month, which in turn disburses the funds to your creditors. However, under this plan, your credit cards will stand frozen until the DMP is completed. 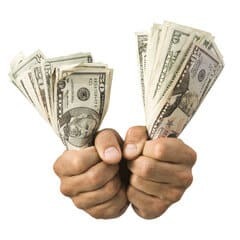 The advantage of consumer credit counseling is that it hardly costs anything. There is usually an initial fee to start the DMP followed by a management fee of at best $25 payable monthly. However, it must be taken into consideration that most methods adopted in the debt consolidation process don’t actually make the debtor absolutely debt free. All they do is move his debts from one lender to another. You may also open the window for a credit counseling agency which works on a non-profit principle and charges the minimum fees for its services. A trained and experienced counselor will assess your situation and work out a suitable monthly budget along with recommendations for various debt-relief options. Your selected debt management program will concentrate on consolidating credit bills and converting them into one easy and affordable monthly payment; it will help you pay off the debt faster, usually within three to five years; lower interest rates irrespective of your credit score; stop calls from creditors for collection; eliminate over-limit and late fees charges; and, more importantly, construct a practical and realistic budget along with a financial plan that you can stick to easily. Moreover, once you complete the program, your personal credit score will also automatically improve. The process of debt consolidation begins with an objective assessment of all unsecured debts that include credit cards outstanding, personal loans and medical debts but excludes mortgages, student or auto loans. The total debt amount is then compared with the debtor’s gross annual income. If it happens to be lower than half his total income and he is confident that he can repay it within the next 60 months, his debt consolidation is bound to work. This, for example, is an ideal situation for debt consolidation: The debtor has 4 credit cards with interest rates varying between 18.99% and 24.99%. Since he makes timely payments, his credit standing is good. He would stand to qualify for a loan for debt consolidation at around 7%, which definitely is a much lower rate of interest. If the debtor uses credit before paying off the consolidated debt, he gets into a deeper debt trap. With some existing options, certain existing accounts may have zero balances making them usable from the first day. This may tempt the debtor to start using his cards again. As a result, accumulating further debt before the consolidated debt is eliminated can be dangerous! If the payoff plan doesn’t work, it will be back to square one again. Once the debt gets consolidated, the debtor has to compulsorily stick to his payment plan, ensuring all payments are made timely. Otherwise, he stands to definitely damage his credit score and is most likely to face extra penalties. Debt consolidation loans are completely incapable of changing the basic behaviors of debtors who hit the debt trap in the very first place. Instead, what it actually does is to add another unwanted creditor to the debtor’s existing pile, thus enhancing the chances of the debtor of getting into additional debt to repay more debt. See how much money is coming in and going out, and how much in total you owe. Since you want to get rid of debt, see the breakdown of your debt payments. How much is going to high-interest credit card payments? How about for mortgage? By identifying key aspects of your household spending, you would be able to see where the problems lie. See where you can downgrade in spending and which debts are eating out of your income the most. Now that you know where the problem is, do something about it. Choose a debt relief plan that you can follow so that you can better perform your financial obligations. Most of the time, simply saying you would do it doesn’t work because the impulse to spend is too strong. In this situation, a structured plan which also highlights your progress as time goes by helps a lot. Especially if your debts have already piled up, it is best to try to get to your creditors and convince them to decrease your interest rate or lessen the sum that you have to settle. Of course, this does not necessarily make you financially healthy, but it would contribute largely to your ability to pay them back the amount you owe. If this is not something you can handle, get help. You can hire a debt expert for what should be a reasonable service charge in order to land a better deal. While you may lose a few dollars out of your pocket, you at least would be able to have some peace of mind, knowing an experienced professional is doing the works for you. This person should not have a history of overspending, else you could end up in a situation worse than before. When lots of people have access to the family coffers, it does not look like you are going over the budget. So, one person who is actually tracking the income flow and expenditures should make all the financial decisions. You are just working on paving a better and debt-free life for you. Don’t make things harder on your part by not adding more debt unless completely necessary (illnesses, accidents, deaths, etc.). Use only cash in transactions and let the family finance manager keep all your credit cards. 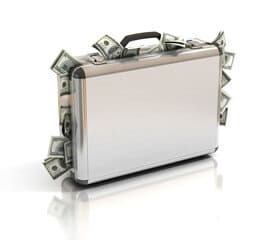 Nowadays, earning more money to augment your income is easier. So, even your spouse who is at home should look for a job to contribute. If there’s a baby at home, she can try selling her crafts online, or even have her try at freelancing. This would help ease the burden of paying off debts. Learn from your mistakes and read about financial management. Knowing what the right thing to do when it comes to money is an important part of keeping and staying out of debt.